So, you want to make your own handcrafted lotion but you're not sure where to start. Lotion making can seem intimidating! The recipes call for ingredients you've never heard of and the whole process seems complex. You worry that you'll end up with a lotion that doesn't work or, worse, isn't safe to use. I hear you! That's why I'm super excited to offer you this course. I'll walk you through the entire process, and teach you everything you need to know to create a safe and effective body lotion from scratch. 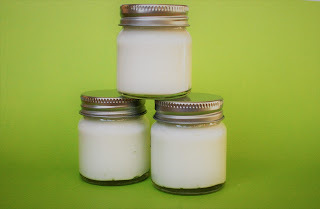 You'll also get my tried and true Coconut Shea Butter body lotion recipe, ingredient explanations, links to my favorite suppliers, and a step-by-step video tutorial. Follow along with me and you'll end up with a fabulous professional quality body lotion that's effective and safe. And, because I love ya, this course is FREE! Class is self-paced, so you can start and stop whenever you please, and work through the lessons as convenient for you.